Overdone it a bit at Christmas and feel you need to cleanse yourself of toxins? Thinking of going on a detox diet in an effort to mitigate all that extra food and drink you indulged in during December? You’re not alone. But before you pop along to your local chemist, supermarket or health food store and spend your hard-earned money on books, devices or supplements, consider this: there is almost no scientific basis for the concept of detoxing. In fact, the term has no medical meaning outside the clinical treatment for drug addiction or poisoning. Despite this, there is a thriving industry selling a willing public the idea that we live in a toxic world, and that day-to-day life is slowly poisoning us. The solution, claim detox proponents, is to eliminate dangerous toxins from our bodies. But just what are these toxins, and how is the idea of detoxing supposed to work? The answer is not entirely clear. When the British charitable trust Sense about Science investigated the detox industry and contacted the manufacturers of a number of detox products, they found that no two companies could agree on a definition of what the word ‘detox’ actually meant. In addition, little or no evidence was produced that detox products on sale in pharmacies, supermarkets and health food stores were effective. In the majority of cases, the producers and retailers contacted were forced to admit that they were effectively renaming the likes of cleaning and brushing products as ‘detox’ products. ‘‘The word ‘detox’ has no real meaning outside of the treatment of drug addiction or poisoning,” says Julia Wilson, communications officer with Sense About Science. ‘‘Yet companies and individuals now use it to promote everything from foot patches to hair straighteners, despite being unable to provide reliable evidence or consistent explanations of what the detox process is supposed to be. According to Wilson, companies which produce detox products are spreading misinformation about how the body works. ‘‘They do it mainly by promoting the idea that toxins build up in the body and you need to aid the removal of them in order to feel good. What concerns us is that this idea plays upon the public’s fears, and is used to sell products that nobody actually needs,” she says. The appeal of detoxing your body, whether in the form of a crash diet, alternative health treatment or food supplement, is easy to understand. But according to medical experts, behind this industry and its products lies a fundamental misunderstanding of human physiology. According to Dr Ben Goldacre, journalist and author of the book Bad Science, there is no evidence that making an extra effort to be healthy can undo the damage caused by a period of overindulgence. ‘‘The idea that you can do something useful to your health in five days of abstention is obviously ridiculous,” he says. ‘‘What we know about the impact of someone’s behaviour and decisions is that they impact on their health over the course of a lifetime. It’s important to look after your health for the next 50 years, not the next five days. Goldacre says that detox remedies tend to fall into three categories – cleansing products, food supplements and diets – all of which, he says, are ‘‘basically nonsense’’. Goldacre is particularly scathing in his criticism of devices such as detox footbaths and patches. ‘‘You can buy footbaths that you put your feet into, and see the water turn brown. That’s not caused by toxins leaking out of your body, but by a metal electrode being placed in a saltwater bath. When a current is passed through the electrode it rusts. You can do exactly the same thing with a nine-volt battery and a nail in a cup of saltwater at home,” he says. ‘‘It’s a simple piece of theatre, but you find these baths in spas and beauty salons all over the place. It’s a similar story with the foot patches you see for sale. If you just spray some warm water on a foot pad and then stick it under a cup of tea to keep it nice and warm – like it would be if it was on the sole of your foot overnight – then the stuff in the footpad will go brown and sludgy in exactly the same way. It’s basically a teabag that contains some mashed-up plant material. ‘‘I couldn’t agree with Dr Goldacre more,” says Dr Daniel McCartney of the Irish Nutrition and Dietetics Institute. The problem, according to McCartney, is that it’s relatively hard to sell this message to the public, but comparatively easy to sell a magic pill or potion. ‘‘People are overwhelmed by misinformation in this area – it’s very poorly regulated, and often it’s the sensationalist headlines that get all the attention,” he says. McCartney, who is also a lecturer in nutrition and dietetics at the Dublin Institute of Technology, says the key problem with detox products is that they promise a lot but don’t deliver. ‘‘There is so much fallacy in this area. People are looking for all sorts of magic solutions to their health problems – they want to feel more youthful or have more energy – and when it comes to how to achieve that, they don’t know what to believe. But in actual fact, when you get away from the hyperbole and misinformation, there’s quite a lot that we know about the science of nutrition,” he says. According to McCartney, at a fundamental level the damage that is caused to human body tissue by the wear and tear of day-to-day living is caused by chemicals called free radicals, and there are three main sources of these. ‘‘First, they are produced by every living cell in the body – in other words, every cell that uses oxygen produces free radicals as a by-product, in much the same way a car produces exhaust fumes as it burns petrol,” he says. The third and final source of free radicals, according to McCartney, is the environment around us and our personal habits. Key factors in the over-production of free radicals in the body are things like inhaling cigarette smoke, not taking enough exercise, gaining weight around the middle of the body and heavy alcohol consumption. ‘‘There are proven things you can do to make yourself healthier, but there’s no quick-fix solution. Going on a so-called ‘detox diet’ after a period of overindulgence doesn’t offset the damage you’ve done. It can actually cause more harm, and in fact some kinds of damage to your liver, brain and gut can never be undone. The best advice from a dietician’s point of view is to have a habitually healthy balanced diet where you’re not overindulging in things like alcohol,” he says. So if you want to become healthier and take better care of your body, what’s the key? ‘‘At a basic level, drop the junk food, sugary foods and sweet fizzy drinks, as well as fatty foods and excessive alcohol. Have at least five servings of fruit and vegetables every day and make sure you eat good amounts of high-fibre starchy foods. Eat plenty of oily fish at least twice a week – mackerel is particularly good. Do some exercise, because if you keep your weight in control, that stops you producing damaging free radicals,” says McCartney. ‘‘Foods like refined sugars, which are found in cakes, biscuits and sweet drinks, all increase our production of free radicals. Likewise, trans-fats found in low-quality processed foods or margarines, and saturated fats that we largely get from red meat, should be avoided as they are associated with an increase in inflammatory markers that indicate higher rates of free radical production. Ben Goldacre believes that the majority of people who purchase detox remedies know that they aren’t supported by scientific evidence, yet choose to buy them anyway. The reasons are varied and complex. ‘‘I think people know that there’s something a bit dodgy about them, and I don’t think they’re necessarily being ripped off – they’re giving over their money quite willingly, and they know that these claims aren’t mainstream,” he says. A much bigger problem, in Goldacre’s opinion, is the fact that many high-street pharmacists sell products for which there is no scientific evidence alongside proven drugs and medications. ‘‘I’m not surprised when a vitamin pill company or some wacky holistic alternative therapy shop presents the public with misleading claims about their products, and I think anyone who hands over their cash in those situations essentially deserves what they get. It’s a sort of voluntary, self-administered tax on scientific ignorance,” he says. Goldacre believes selling these products devalues the good work that pharmacists do. ‘‘In the long run, I don’t think it does them any good. If pharmacists are selling magic sugar pills and homeopathic remedies and detox stuff, people will start to think that maybe they can’t be trusted when it comes to medical drugs as well,” he says. In a statement responding to Goldacre’s comments, the Irish Pharmacy Union told The Sunday Business Post that each individual pharmacist makes up their own mind on what products they choose to stock. ‘‘This is a decision for individual pharmacists to make. All products making medicinal claims must be authorised and licensed by the Irish Medicines Board,” says Gerard Howlin, head of policy and public affairs with the Irish Pharmacy Union. However, there is an onus on pharmacists and other retailers to make sure that the products they sell perform as advertised. ‘‘Under Section 8 of our code of standards, which is the section that deals with the health and beauty industries, the basic principle is set forth that there should be substantiation of any claims a product makes,” says Frank Goodman, chairman of the Advertising Standards Authority of Ireland. The terms ‘toxic’ or ‘toxins’ are used to imply that a chemical is causing you harm. In reality, all chemicals can be toxic and it is the dose that is important – for example, one 400mg vitamin A tablet may be beneficial, but taking 20 at once could damage your liver. Most chemicals do not accumulate in the body: they are removed by the liver and kidneys. Many detox products which claim to flush the body of chemicals contain diuretics, which increase the amount you urinate. This just removes water and some salt. In extreme cases, diuretics can cause your salt levels to become depleted, causing cramping or, in the worst cases, a coma. You may achieve temporary weight loss by dehydration, as with a sauna, but this is only short term, as you will regain weight while you rehydrate. The term ‘eliminatory organs’ as used by detox products refers to the liver, kidney and digestive system. These organs don’t need to be cleansed unless you have consumed a dangerous dose of a substance to the extent that they are overwhelmed, such as a drug overdose. In these cases, medical intervention is needed via stomach-pumping, blood transfusion or dialysis. Detox tonics and supplements often claim to contain high level of antioxidants to help neutralise free radicals in your body. Free radicals are made in the body and can cause cell and DNA damage, but they also play an important role in our immune system, protecting against bacteria and viruses. The body makes its own antioxidants, using the food in our normal diet. Additional antioxidants are removed by the kidneys. These products bind to substances such as make-up on the skin’s surface, but will come off when you wash. They can’t help your body remove excess substances and are no better than other shampoos, cleansers or moisturisers – and may be more expensive. Putting a detox patch on your skin may make the covered area sweat more. While very, very small levels of chemicals may be excreted in the sweat, it won’t have any discernible effect on the amount of chemicals in your body. Detox tonics can’t improve your liver or kidney function. Some of the herbs in them may be metabolised more quickly – for example, St John’s Wort – but this is because your body recognises them as a poison and attacks them. If you have too high a dose of some of these supplements, it can cause illness and even death. There is also a risk that they will affect how other substances are processed, such as the contraceptive pill or other medicines, so they don’t work as effectively. Detox diets are often recommended after periods of excess, but the best diet you can have at any time is a normal, balanced one. A course of vitamin supplements is one of the first ports of call for people feeling rundown and suffering from fatigue, but consumers should be sceptical about the claims made for these products, according to independent British consumer watchdog Which?. It recently conducted research into the claims made for many health supplements and found that many don’t stand up to scrutiny. At the same time, while visiting supermarkets, chemists and smaller health shops, the consumer body found high-strength products on sale containing vitamin B6 and betacarotene without recommended warnings that taking too much could be harmful. An additional survey carried out by Which? of more than 1,200 people found that around a third of them didn’t realise that taking too much of some supplements could damage their health. ‘‘We’re concerned that people are being taken for a ride, needlessly paying a premium for many products on the basis of health claims that haven’t been backed up by scientific evidence,” says Peter Vicary-Smith, chief executive of Which?. ‘‘We want to see the European Commission release a list of accepted and rejected claims as soon as possible, so that consumers won’t continue to be bamboozled by health claims they can’t trust. Supplements claiming to aid in the maintenance of healthy bones and joints were singled out for criticism by Which?, with many based on ingredients like glucoasmine which have had the evidence to back them up rejected by the European Food Safety Authority (EFSA). The EFSA is the body responsible for analysing the scientific evidence behind health claims on all foods, including supplements. In around 80 per cent of the cases it has studied so far, it couldn’t identify a cause and effect relationship between the ingredient submitted and the purported health claim. Sorry, but this is the stupidest article I have read in a while. The author does not provide any evidence for or against, so it does not help anyone. Your just piss off because there telling the truth and you cannot handle the truth. On the contrary, the author cites respected researchers and writers and cites ‘Sense about Science’ where much of the underlying data can be easily reviewed. Carlos: What article did you read? Quoting respected medical doctors and Sense about Science isn’t providing evidence? And there isn’t “evidence against” detox diets – no one is claiming these fads, in and of themselves, do harm. There is no evidence that they work, which is what is being pointed out in this article. The premises on which they are based is dodgy, and the manufacturers provide absolutely no evidence to support their claims. The onus is on the person making the extraordinary claims to provide the evidence. Besides, “stupidest” isn’t even a word. 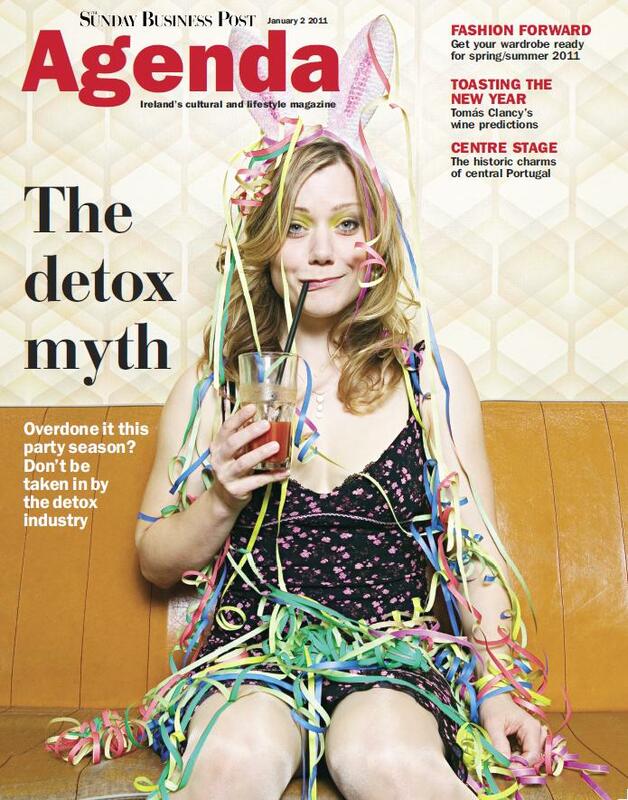 Well, it is strange that the article claims that there is no scientific evidence for detoxing. It is public knowledge that toxins do accumulate in the body, and there are such things as lead poisoning for instance. BPA for instance can accumulate in the body. One thing is pointing out those bogus companies that sell us “made up” magical cures. But denying a scientific fact is a bit far fetched. Any well informed nutritionist will inform you of this. People with “degrees” and stuff from real universities, as these days it seems a bit of paper is more important than common sense. Articles like this are very harmful, as they make people believe that it is okay going on living surrounded by asbestos, breathing in smoke and taking as many medicines as they possible can. Maybe you do have to go to somebody who does know about detoxing and who is not going to charge you 500 bucks for a consultation and a bottle of pills. But pseudo-scientific articles like this are very harmful. And definitely not this, no sir! “According to McCartney, at a fundamental level the damage that is caused to human body tissue by the wear and tear of day-to-day living is caused by chemicals called free radicals, and there are three main sources of these. I for one certainly didn’t read anything of the sort here. This author is an idiot. Unfortunately, out of 653 or so medical schools in the US, M.D.s get no education in nutritional biochemistry. They are trained and educated by the pharmaceutical industry’s text books and earlier generations of robots. Only docs that want to help people as their motive for their profession, step outside of their box these days and it is not the safest for the pocketbook. There is no money in a healthy patient. Just think about it. I am a holistic doc and have seen many lives changed through detoxing among other alternative health modalities. The reality is that there is no ‘detox’ of the body. the only way to ‘detox’ yourself is to change the content of your diet permanently. if you eat healthy you ‘detox’ your body in that you dont put unhealthy foods into it. thats it! pills for 5 days is not detoxing, neither is starving yourself. If you eat a balanced diet you will be fine, if you don’t you will not, end of. Your body is a giant filter, its meant to take in pure substances but its able to take a lot of punishments, its fact that if you look at whats in a human being before and after a detox, you see toxins which are poisons and then after its removed, your body after going through a detox is factually different in a positive sense and this isn’t debated, its actually common knowledge that detox’s not only work but are vital. Common sense tells you that if you take in crap (99% of the main food line) and you will one way or another, your body will have stuff in it that it doesn’t get rid of, its a fact that detox’s are important and yes there are build ups in the body of toxins. Bottom line, i believe this article was bought and paid for by some drug company, i believe its flat out lies because its stating stuff that is absolutely untrue. You know what a real rip off is? how about drug company’s and people who are suppose to be “professional” properly prescribing drugs killing over 200,000 people each and every year? not do mention damaged health, they mentioned vitamins in this article in a negative sense, what a bunch of lies, i think a persons body could recover faster from a vitamin over dose then it could from some of these liver murdering drugs that they put out there, how about aspirin that kills people every year? Tylenol? killing people every year in the hundreds if not more! How about PROVEN PROVEN PROVEN CURES yes i said it, CURES that do CURE disease? huh? where are your MD’s now? its always about the money, selling lies at the cost of peoples lives, these murdering bastards should be put into jail or worse, they’re nothing more then criminals and i know people who have seen this stuff first hand, so for even the idea of Detoxifying being talked about is a huge joke, i personally know people who have had HUGE help from using detox’s and i know more people who have had there lives ruined by drugs. Remember articles like this, are bought and paid for unless the writer of it is really that clueless. у вашего блога необычный диз, сами делали? You get out of this article what you want to…. What you put in your body greatly affects what your body can do for you ie energy, etc It is standard practice of any nutritionist to tell you to eat right, excercise and don’t over indulgee yourself. What I am afraid of is those companies that clearly state one thing, take your money and run….. I was recently on a cruise in which a british company and the spa 11 were giving free advise and pushing their own detox products. That to me is wrong, even should be unlawful to do so. They were selling products that you take 2 pills daily for 30 days then 1 pill daily for 60 days at a price of 300.00 for a 3 month supply…..now this article may have its flaws as most do, they at least are not trying to sell you a 100.00 per month healthcare/detox program…… with everything you need to consult your doctor before making any changes regardless of who is pushing what. Hmmm, gee let me think. Amalgym fillings, radiation leaking into the sea from Japan for how many months, oil spills, car fumes, pollution, smog, vaccinations, antibiotics, pesticides, paint, chemicals, hormonal contraceptives, who knows what in the water we drink…. Just to list a few. And we don’t live in a toxic world? There are some real idiots out there huh?…detox is vital? the author clearly says that our body does this perfectly well already, Dr Goldacre is a well respected Docter and researcher…try reading Bad Science by Ben Goldacre, the evidence and science is all there. And please, try not to loose too much sleep over the bad news that your expensive pills are worse than useless.